In Western numerology—a practice created by Greek mystic and mathematician Pythagoras over 2,500 years ago—everyone has a numerology chart made up of seven "Personality Numbers” that relate to one’s personality and five “Forecasting Numbers” that relate to one’s future potential. 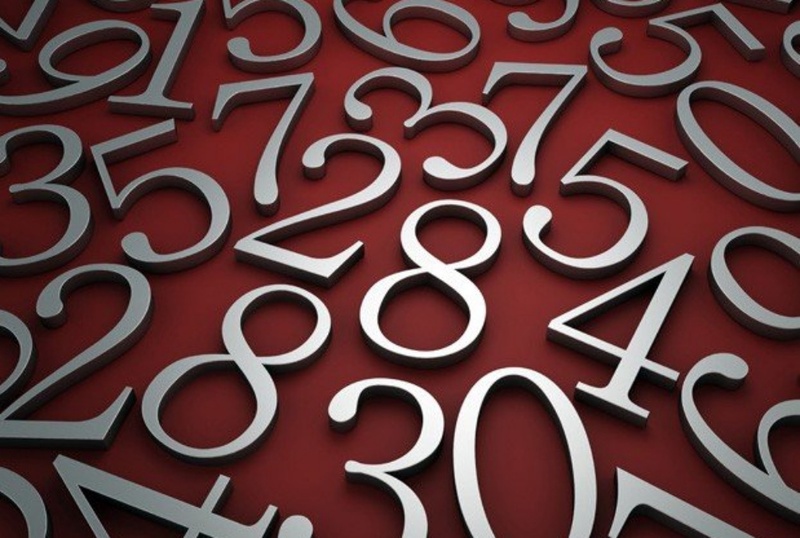 You can tap into this insight by calculating your numerology forecast with your "Personal Year Number." This number, composed of the month and day of your birth date, indicates the lessons, opportunities, and experiences you’ll encounter during an upcoming year. Take this 60-second quiz to calculate your Personal Year Number for 2016 and receive your numerology forecast for July. Step 1: Add the month and day of your birth date to 2016. Be sure to write the full year (i.e., 2016 rather than just 16). Step 2: Keep adding any double-digit numbers together until you get a single-digit Personal Year Number between 1 and 9. Let’s use the birth date September 29 (9/29) as an example. Step 3: Now, locate your Personal Year Number below to discover your numerology forecast for July 2016. But keep in mind, there are five forecasting numbers in your numerology chart, so for greater accuracy all the other numbers must also be taken into consideration. In this 1 Year of new beginnings, action, and opportunity, July is a time when business, career, and finances take center stage. Use your money wisely and be careful not to overspend because a new business opportunity could be just around the corner. In this slow-moving 2 Year that focuses on patience, relationships, balance, and emotions, July will encourage you to let go of what no longer serves you so you can move towards better things. Relationships that are hanging on by a thread will invite a final review. In this 3 Year that focuses on socialization, self-expression, communication, and creativity, July brings new beginnings, projects, and opportunities. Now is the time to drop your hesitation and move full-steam ahead with your ideas. In this busy and challenging 4 Year that focuses on creating stability in your personal and professional life, July is a time to concentrate on the relationships around you, both personal and professional. Be diplomatic and cooperative in order to invite the outcome you desire. Singles, now's the time get proactive about finding love. In this fast-paced 5 Year that focuses on progress, movement, and change, anything can happen ... and it usually does. July is a dynamic and action-packed month, so be social, promote yourself, take a vacation if you can, and have fun. In this 6 Year that focuses on relationships, family, and domestic responsibility, July is a favorable time to make a commitment and solidify progress in your personal and professional life. Be patient through obstacles and delays and don’t force things to happen. Stay organized, disciplined, and focused. In this 7 year that focuses on introspection and personal and spiritual growth, July is a month of progress, movement, and change. Now’s the right time to make any changes you need to put in motion. This is a great time for lots of travel, open communication, and self-promotion. In this 8 Year that focuses on manifestation, personal power, finances, and career, July can be a rewarding time for business advancement, especially for those working in service-based careers. Put time aside to focus on relationships and family matters and make yourself available to those who need you. In this 9 year that focuses on transformation, completion, and endings, July is a time to go within to work on your personal development. Chase quiet time alone, and explore meditation, yoga, and other practices that enable you to reach a higher level of inner contemplation.